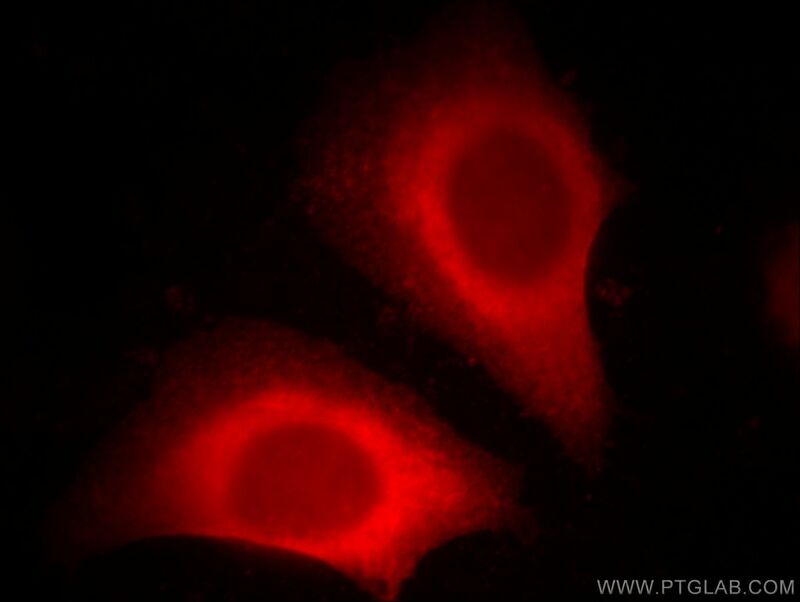 Immunofluorescent analysis of HepG2 cells, using DOC2B antibody 20574-1-AP at 1:25 dilution and Rhodamine-labeled goat anti-rabbit IgG (red). DOC2B may be involved in constitutive membrane trafficking including dynein-dependent intracellular vesicle transport. In vitro, binds calcium and phospholipids. The antibody is specific to DOC2B. Doc2b Protects β-Cells Against Inflammatory Damage and Enhances Function. DNA Promoter Methylation Dependent Transcription of Double C2 Like Domain Beta (DOC2B) Gene Regulates Tumor Growth in Human Cervical Cancer. 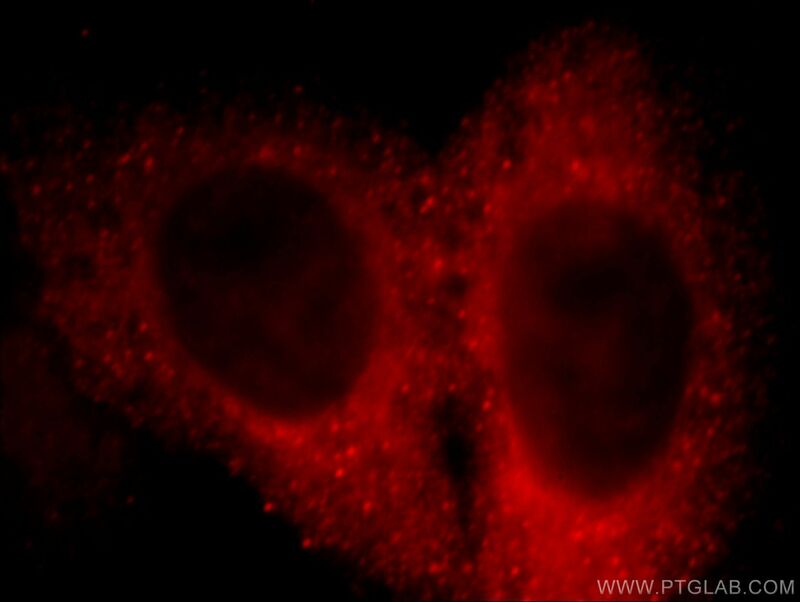 Immunofluorescent analysis of Hela cells, using DOC2B antibody 20574-1-AP at 1:25 dilution and Rhodamine-labeled goat anti-rabbit IgG (red).